Got 3 minutes? You'll find the wisdom and encouragement you need with these just-right-sized readings from the classic writings of Charles Spurgeon! This delightful devotional packs a powerful dose of inspiration into dozens of 3-minute readings designed to meet you right where you are in life. Minute 1: meditate on a scripture selection; Minute 2: read through a devotional created just for you; Minute 3: read a prayer designed to help jump-start your conversation with God. In 3 short minutes, you'll be on your way to complete spiritual renewal! 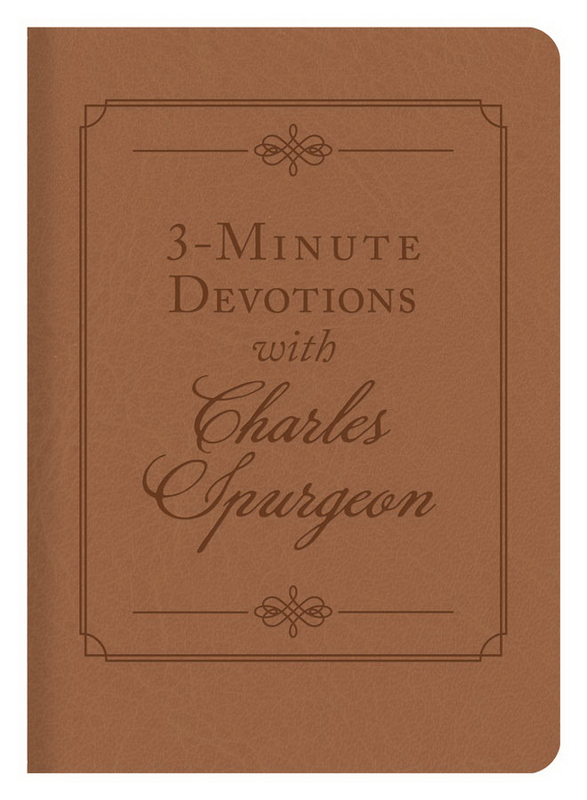 3-Minute Devotions with Charles Spurgeon Imitation Leather by Spurgeon, Charles was published by Barbour Books in January 2015 and is our 24122nd best seller. The ISBN for 3-Minute Devotions with Charles Spurgeon Imitation Leather is 9781616260354. Be the first to review 3-Minute Devotions with Charles Spurgeon Imitation Leather! Got a question? No problem! Just click here to ask us about 3-Minute Devotions with Charles Spurgeon Imitation Leather.